To borrow the words of Minister in the Prime Minister’s Office Grace Fu, Singapore is a ‘city full of paradoxes’. The more I mulled over this quote, the more appropriate it seemed. We are one of only three Chinese-majority nations in the entire world, yet we still take pride in singing a national anthem penned in Malay. We were a castaway Malaysian state that now economically outpaces the whole of the Malaysian peninsula. We are a nation that once rose on the back of immigrants, but now turns its back on migrants seeking a brighter future. As citizens of this complex and often contradictory city-state, we constantly face a struggle to define what “being Singaporean” truly entails. Today, as you sit back with friends and family to celebrate Singapore’s 48th year of independence, do ask yourself a very simple question – Why am I proud to be Singaporean? Trying to provide a logical, measured explanation for a frustratingly imprecise set of emotions is not an easy task. Do I feel grounded to my nation because I believe in the Singapore narrative, or because my family is rooted here? Do I belt out a medley of national day songs with gusto because I love singing with my friends, or because I love Singapore? Should these questions even be phrased as a choice between binary opposites? Honestly, I find it incredibly hard to feel a sense of affinity to the imagined community which is Singapore – after all, Singapore is simply a collection of 1 tiny and 62 even tinier, rocky islands, brought together under the umbrella of a nation by sheer historical chance. Unremarkable, and hardly spectacular. Yet, even as I tell myself that this territory is no different from the hundreds of other states elsewhere in the world, that my social circle could very well be transposed to many other nations, I struggle to view myself as anything other than a Singaporean citizen. There is something deep inside of me that always wants to go back. Why then do I still cling on to my identity as a Singaporean? For me, the answer lies not in the towering glass skyscrapers which overlook the Singapore River, nor in the sense of security I feel walking home from school in the dead of night. It would be far too presumptuous for me to take pride in achievements which I played absolutely no role in obtaining – I am, quite frankly, lucky to have been born in a developed nation like Singapore, where most of us are empowered to live in relative comfort and security. Patriotism, however, stems from something more fundamental and elusive than the gratitude I feel every time I compare my circumstances to that of someone who may be less fortunate than me. In the same way we wouldn’t be proud if we were born to incredibly rich parents, or if a friend managed to secure a place in a prestigious university, the notion that arbitrary national achievements somehow trigger an individual’s sense of patriotism rings rather hollow. In search of a more compelling reason, I struck up a conversation with one of my best friends a few weeks back. He told me that his love for Singapore was derived from the principles which Singapore seems to stand for. While middle-class Americans might feel proud of the USA because they believe in the American Dream, or a Dane might find pride in his/her nation’s egalitarian principles, my friend suggested that patriotism was linked to the values a nation supposedly espoused. The problem, however, is that I often find myself disagreeing with some of our nation’s current guiding principles whilst still staying proudly Singaporean. Do we necessarily have to agree with MM Lee’s conception of a semi-authoritarian “Asian Democracy”, or with the government’s minimalist approach to intervention in the free market before we can claim to be patriotic Singaporeans? Of course not. Neither do we have to buy into the values embedded into the popular narrative of Singapore’s history to be proud of our country – the principles of meritocracy and racial equality are similarly upheld in other countries across the world. Surely there must be something special about Singapore. Perhaps the simplest answer is also the most appealing to me. As an irrational, malleable Singaporean teenager, the very fact that my parents gave birth to me in a Singaporean hospital on Singaporean soil may be the most important reason why I take pride in my nation. There are certain immutable characteristics about myself and my relationships that I will never be able to change – my hair is black, my facial features are distinctly Asian, my spoken English coloured with an unmistakable Singlish twang. My conversations are naturally peppered with a touch of Hokkien (admittedly of the vulgar variety at times), and I sometimes accidentally invert the iambic pentameter when reading out lines from Shakespeare, even when I know I shouldn’t. Most of my closest friends and family members are Singaporean, while my tastes and preferences are shaped by my Singaporean experiences. It would be impossible to define myself without reference to my nationality, because my identity is anchored in the broader context of the nation. As (supposedly) ‘Global Citizens’ in an increasingly interconnected era, it is easy to forget that our virtual avatars often mask our actual selves. To be proud of being Singaporean is to be proud of who I am. 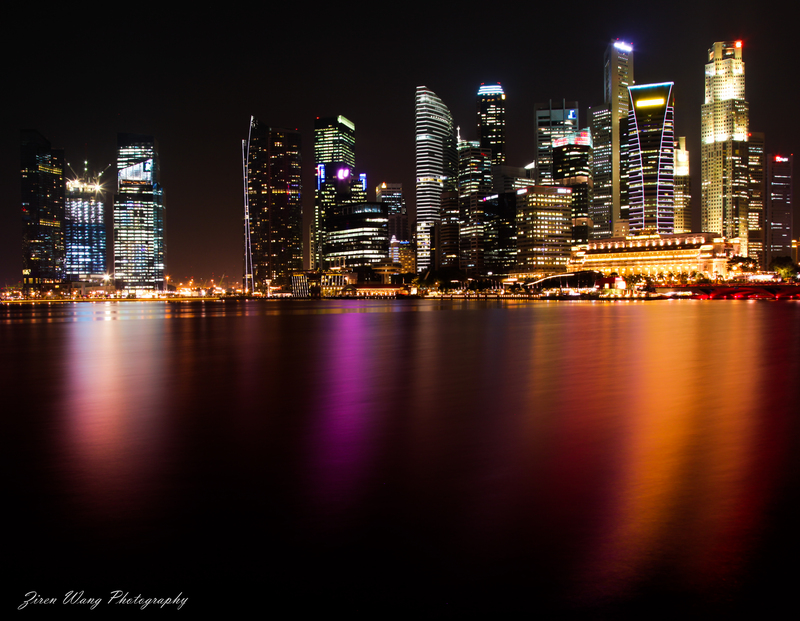 Our perception of the world around us is invariably refracted through the lens of our experiences in Singapore. As much as I would like to think of myself as a global citizen, I know that I would never truly feel at home walking the streets of New York or Paris, flagged out instantly by my appearance and accent as a foreigner, surrounded by unfamiliar faces and cultures. Although we would eventually adapt to a disconcertingly different foreign environment, the cultural connections and language markers which we develop during the formative years of our childhood will always remain. In an article for the Journal of Community and Applied Social Psychology, Dr. Michael Cole from the University of California writes, “Culture plays an essential role in how children make sense of the world. Development of signification and adoption of the appropriate cultural tools (symbols, meanings, scripts, goals etc.) of human activity are basic challenges of early learning.” In a compact, highly-connected and diverse city-state such as Singapore, our culture isn’t solely bound up within our ethnicity or religion, but rather shaped by the interactions between these groups within the context of our nation. Am I claiming to be patriotic out of circumstance, and not by choice? In a way, yes. I’m convinced that if I were born Russian, for instance, and grew up surrounded by Russian friends, family member and customs, I would nevertheless be proud of my nation. Because I have been born a Singaporean instead, I have had the privilege of standing on a point of intersection between an almost contradictory array of cultures, ethnicities and religions. Where I have been born has indeed played a huge role in determining who I pledge my allegiance to. Maybe patriotism is itself a paradox – that even though many of us recognize that our love for a larger, imagined community may not be wholly rational, we are still willing to cave in, and let the lion roar.